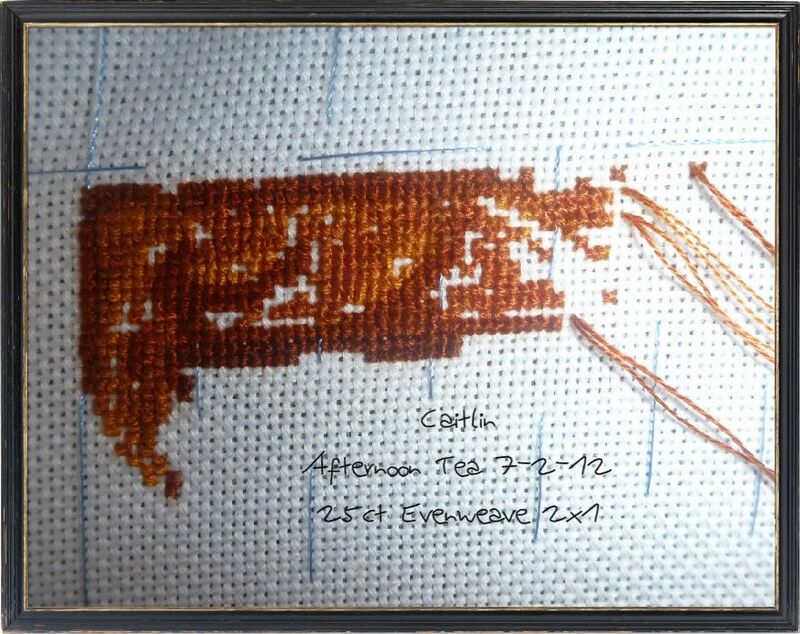 Well I have worked on Afternoon tea a little bit :D It looks a little more coloured in... I haven't been focusing on this piece at all. close up of the stitches they are very bunched together it makes a very strong feel. 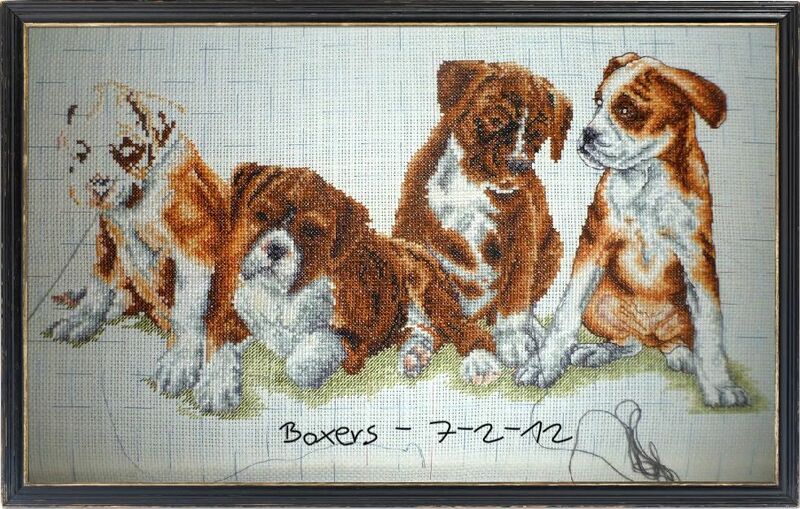 and boxers is getting very very very close. Maybe another month or so and they will be ready :D So excited about them! Though I still have to change those eyes. They are glowing beacons and really look bad! Like a demented dog. But it is so excited. I don't think I made any January goals I didn't want to push anything. But here are my February Goals. And this month I'm adding some non stitchy goals. Practice Piano at least 4 days a week for at least 30 minutes each. Which includes my scales. Get myself organised for the softball season. 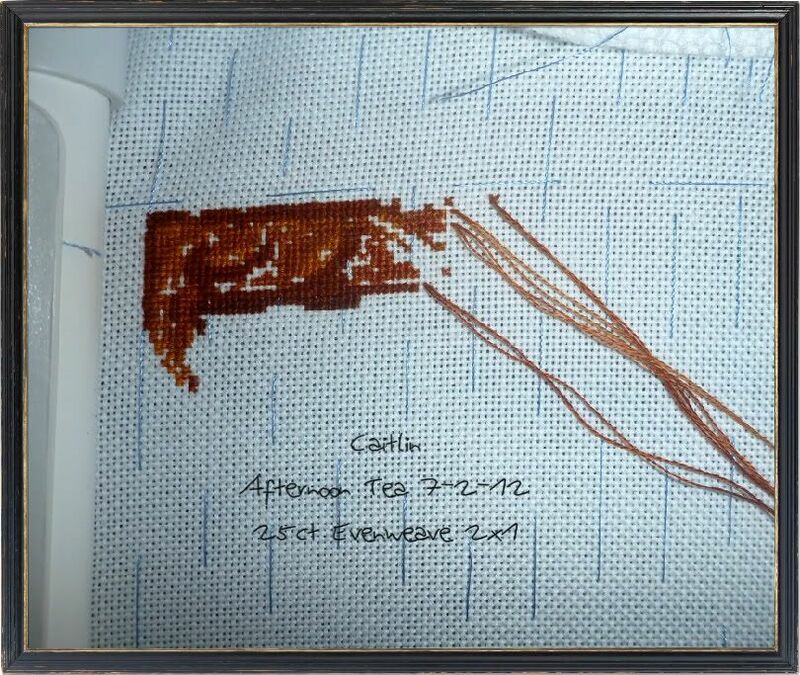 yeah for stitchy progress. Good luck on the piano and walking goals. I would like to do that but I can't put a pedometer on a dress and they don't like skirts either. Maybe after the middle of the month. Boxers look great, excited to see a finish soon for you! Great start on Afternoon Tea, the colors look stunning. Great progress!! And some great non-stitchy goals too! Wish I had a piano to play on (live in an apartment and I don't like electrical keyboards). Good luck with walking more!! !